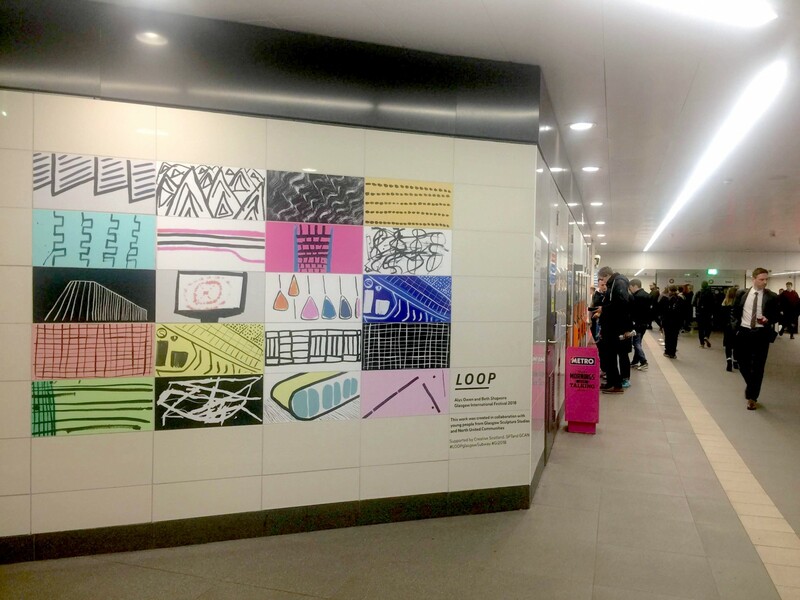 LOOP was a collaborative project for Glasgow International Festival 2018 by Alys Owen and Beth Shapeero. 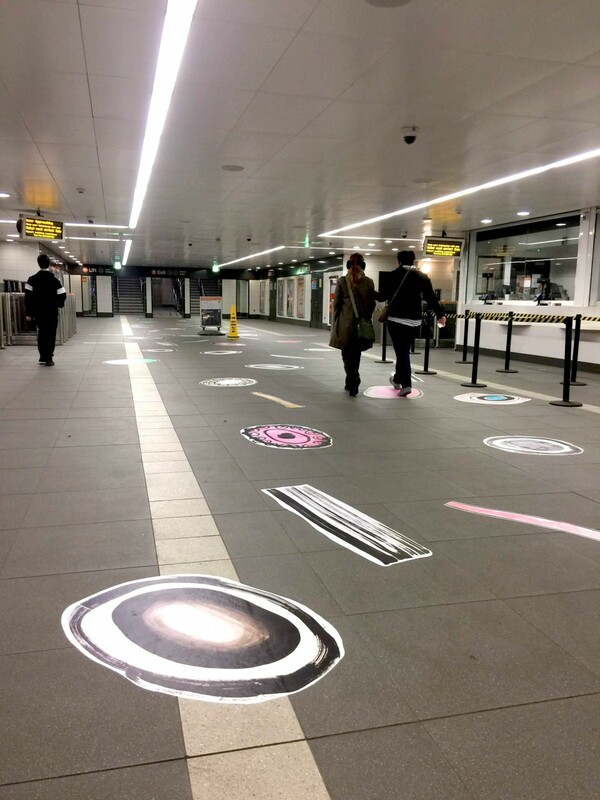 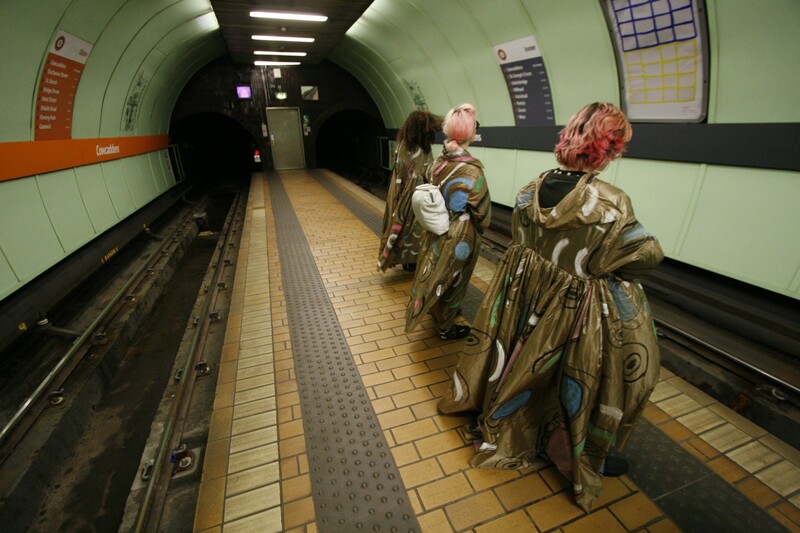 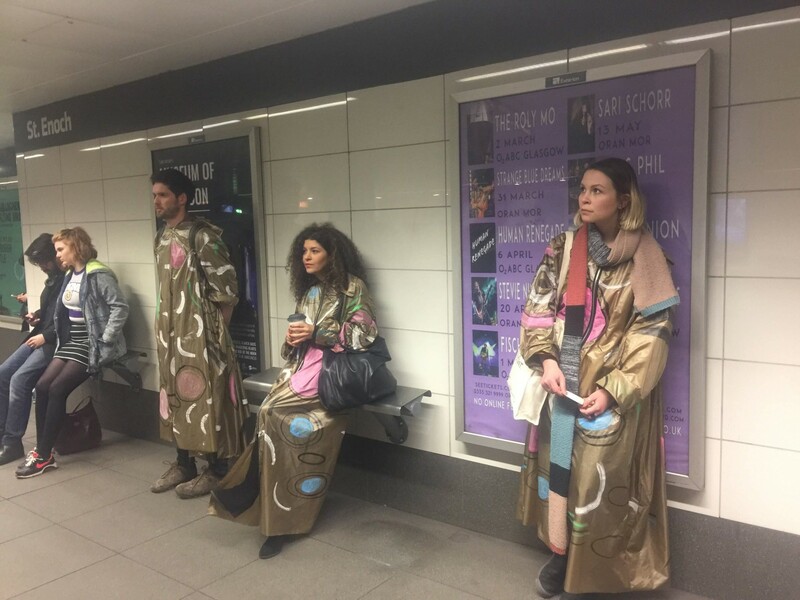 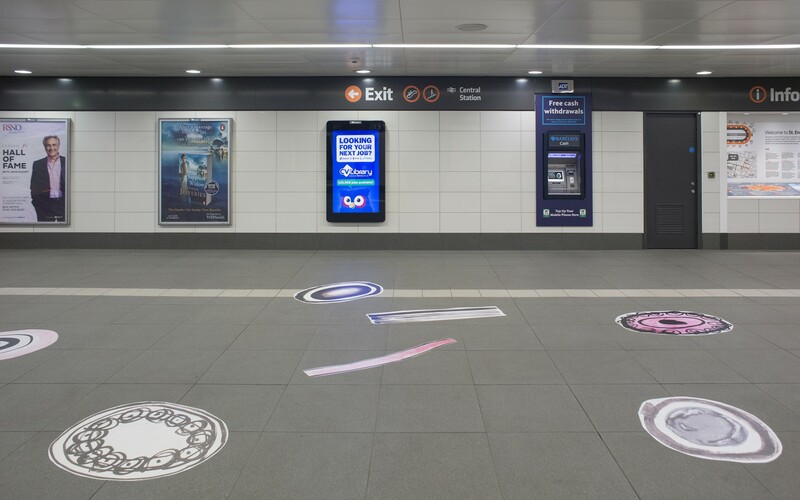 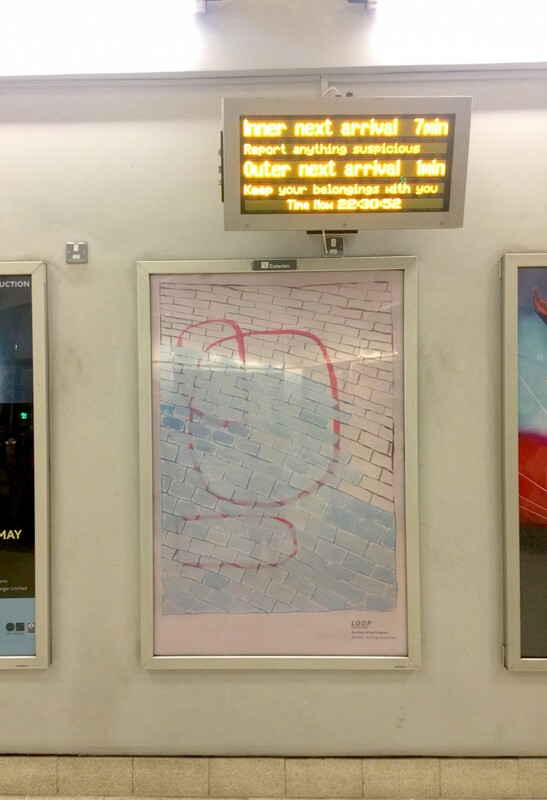 Artworks were situated across Glasgow’s network of Subway stations. 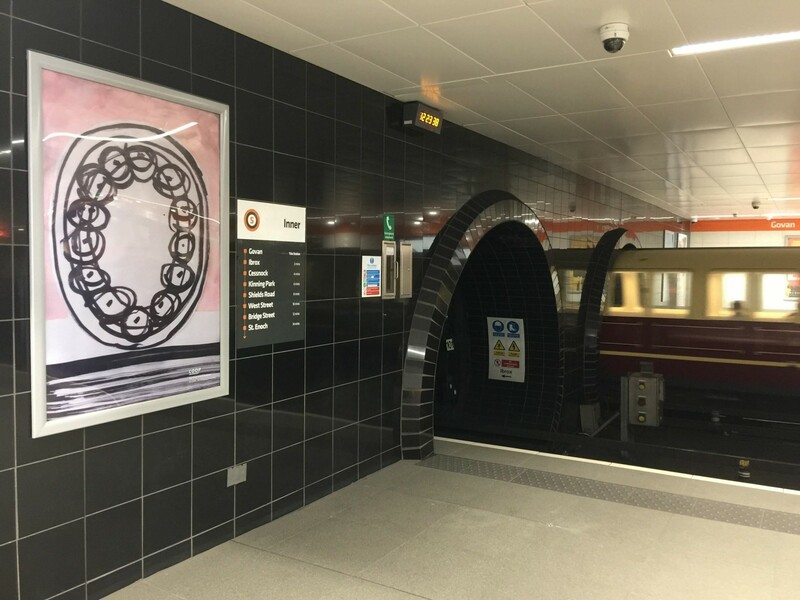 Prints, drawings, large scale installations and performance mimicked aesthetics of travel and daily routines, playing with the overlooked absurdities of everyday life. 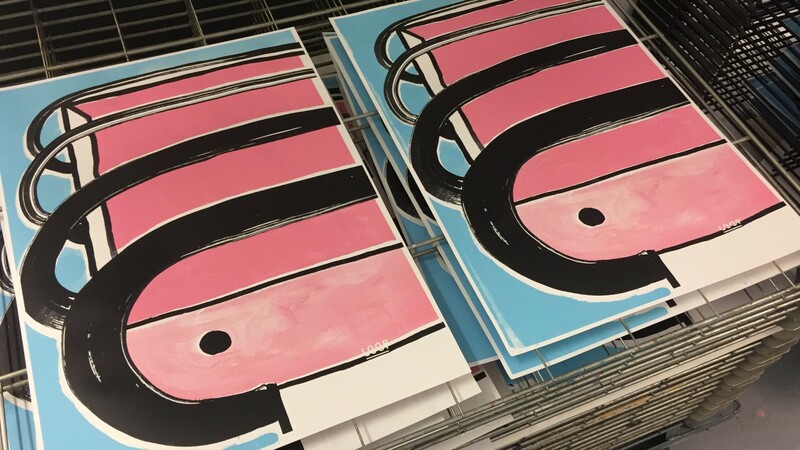 In the ‘artwork giveaway’ golden tickets were dispensed randomly when customers purchased travel tickets, entitling them to win a free limited edition screen-print. 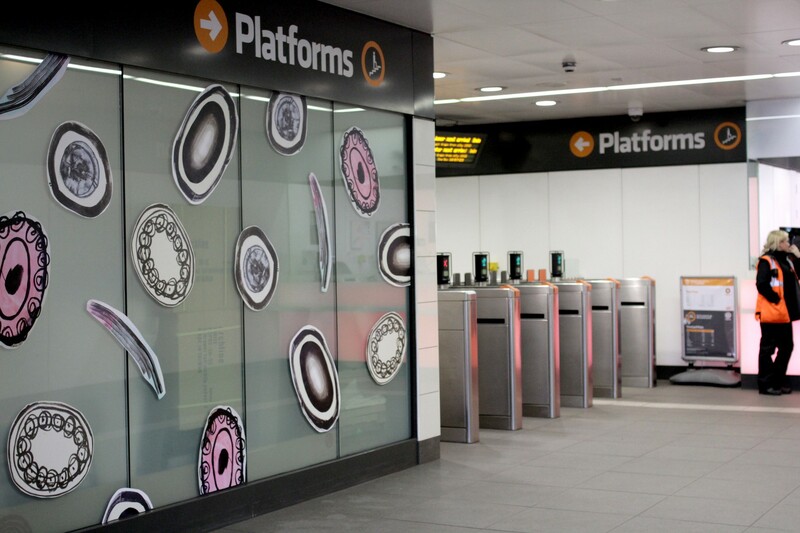 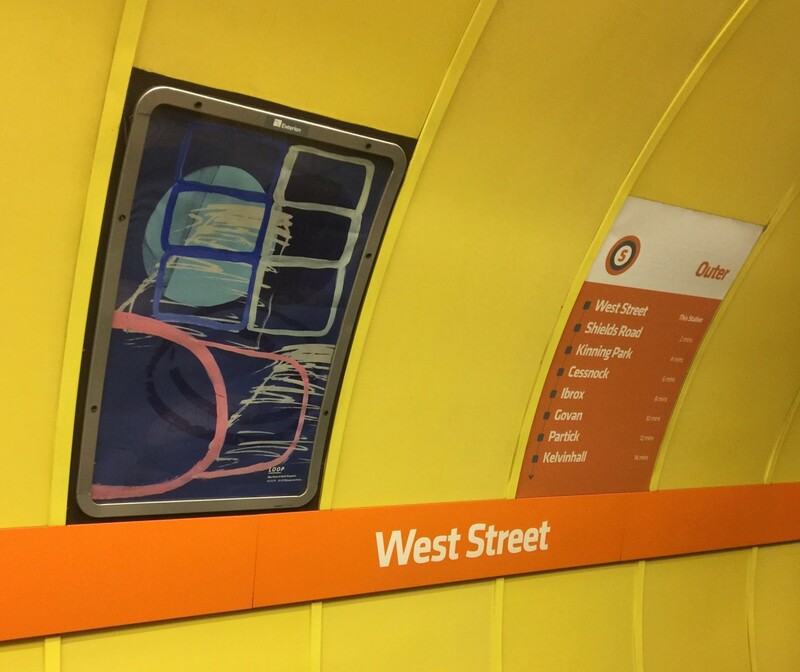 The installation at Buchanan Street Station was designed with young people from Glasgow Sculpture Studios and North United Communities.